The New Year will not be ushered by music - atleast to the subscribers of WorldSpace. It somehow did not come as a surprise, infact it was almost a reminder of Murphy's Law. But what is actually surprising is why the more-than-a-decade long service carries a mere base of 4.5 lakh subscribers. Why was this number not a whopping figure? Why did the company file bankruptcy in October 2008? 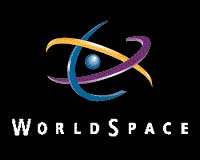 If I were to disjoint the pieces I'd think that WorldSpace was almost an innovative service that offered 36 different channels catering to various music tastes and genres of music. It broke barriers between generations and languages and bound them all into their umbrella. Initially the cost was very high but then they rapidly started dwindling to appeal in a better and affordable way to the Mango Junta (Haven't you seen "3 idiots" yet??). But apart from the initial investment in the instruments, the users had to pay a yearly subscription as well. C'mon that's justified. It seemed a perfect service for restaurant and cafe owners who cater to a diverse crowd all day long and can provide them music minus the advertisements, an intense annoyance when we are battered by advertisements in all forms every minute. You fit the ambience to the channel and voila the melody begins! Advertising and promotions were consistent (I agree they almost lost control at times). A.R. Rahman was the ideal icon as the brand ambassador - his personality almost embodied the product and one could be convinced that perhaps he was the brain behind the excellent idea. The awareness, brand presence, offers were all happening in the world space of WorldSpace. But why the stumble.. and then the fall? As a third party or a non subscriber of WorldSpace, my guesses are that they could have worked on their pricing. They could have offered different degrees of membership where people choose the channels and only pay for the customised platter similar to the Tata Sky concept of free and paid channels. Better costs and customisation appeal to most! Again I feel that their market research and target audience were misjudged and faulty. Music is loved by everyone but who among the everyone would be an audience is the important question. Different offers for students, corporates, individuals could have been worked out or perhaps a target among these could have been initiated for a pilot project or been the prime focus. The quick fall from the niche to the mass brand and then being thrown out of the league just does not make complete sense in this case. I know that the answer is still incomplete.. and I would have liked to get a response from the one who's experienced WorldSpace first-hand or is better versed at this subject. My curiosity remains as I have been asking this question to myself since long but the final straw in the headlines today compels me to seek more answers.. Very nice blog and posts. Keep it up! And thanks for visiting my blog- aceguide.blogspot.com: exotic places in India. Yes, I have traveled all those places in 30 years and regretfully, I think, I haven't seen even a half of my beautiful country. I'm writing this from New Jersey and really miss my land. Ohh Nice..! I thought you were residing in India. Anyway, I love the thought of traveling and really wish I could do it more often.. It just feels like this there is so much to see ..
1. Immense cost of getting & maintaining satellite bandwidth. 2. High initial cost( Rs 11000 for me ). 4. A little high funda for the 'aam junta'. I think #1 dealt them the death blow with an inability to scale up on numbers, as you have said.